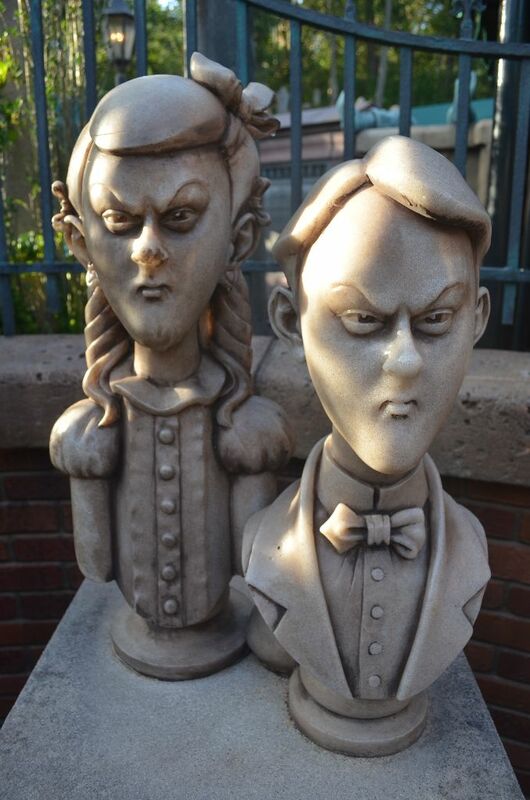 The interactive queue at the Haunted Mansion opened over 3 years ago, but have you ever solved the murder mystery? Did you even know there was a murder mystery to be solved? 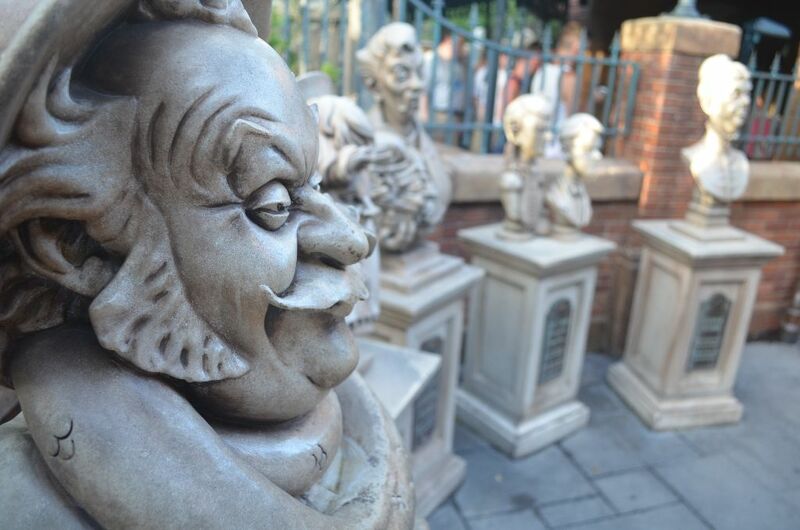 The five busts (six if you count the twins twice) make up a fun murder mystery that you can solve while waiting in line for the Haunted Mansion. Fair warning that there are spoilers ahead including the solution to this fun whodunit. If you want to try and solve it yourself just save this post in your bookmarks and come back to see the solution after you’re done! First we’ll start with the order in which these foolish mortals died. 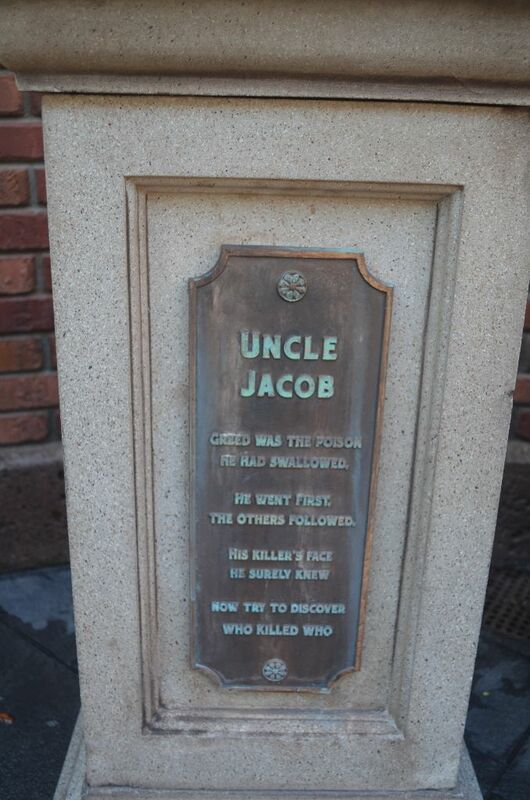 The first to go was Uncle Jacob. 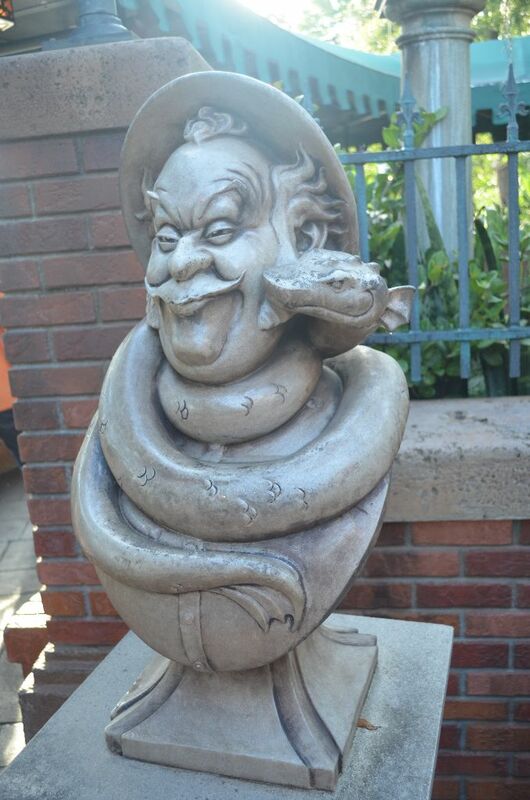 Filled with greed and a need for money, Uncle Jacob can be seen with his treasures as part of the bust. Let’s look closer at his plaque to see if we can find any clues as to who did him in. Unfortunately, in the end it was his greed that did him in. In fact, this whole string of murders was carried out by greed and an attempt for each of the successors to inherit Uncle Jacob’s wealth. Now that we know who died first, we need to find out who the first killer was. While it seems to be a play on words, Greed was the poison he had swallowed, it is also meant to be taken quite literally. 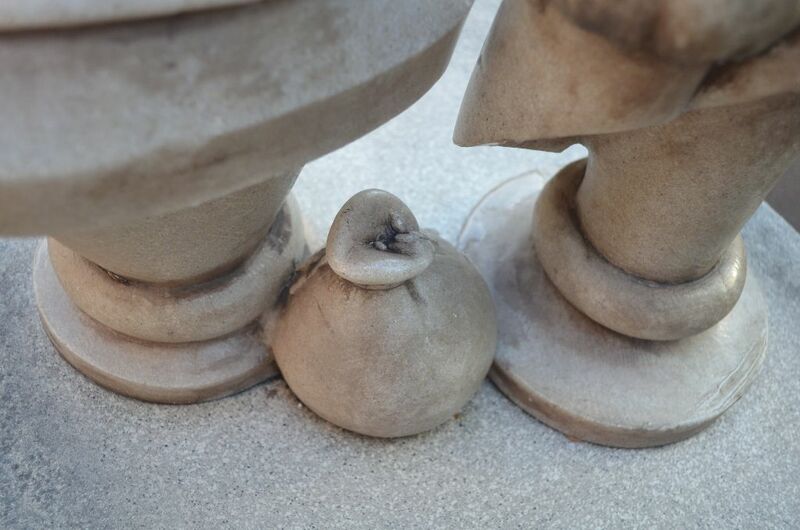 Looking around at the busts we notice that it is Bertie who has a bottle of poison on his epitaph. Bertie, an avid hunter, can be seen with a serpent draped on his shoulders. This pet serpent provided exactly what Bertie needed, poisonous snake venom, to kill off Jacob and take the riches all for himself! Bertie now has the inheritance and all seems to be going well until Aunt Florence realizes that her husband is dead! More important than the fact that Jacob is dead is that his fortune is missing as well. Determined to take back the fortune and avenge her husbands death, Aunt Florence shoots Bertie, a fitting end for an avid hunter with an expert shot. So far we have two members of the Dread family dead and the inheritance lies in the hands of Aunt Florence. Let’s take a look at Aunt Florence to better understand how she met her fate. 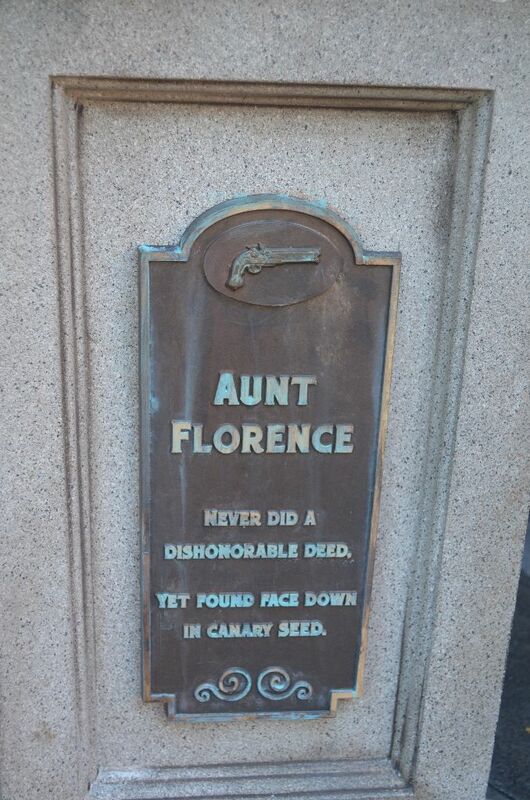 Aunt Florence’s plaque states an interesting fact: Never did a dishonorable deed. This is another clever play on words. 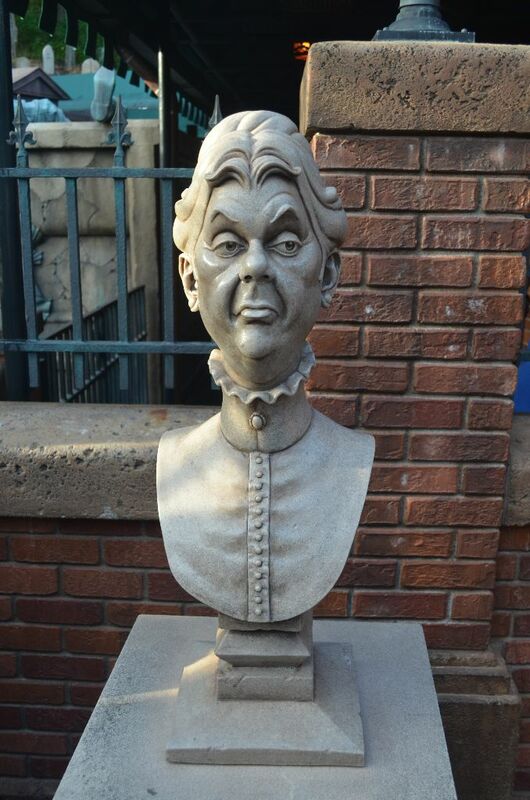 Before we examine this plaque, let’s examine how Aunt Florence ties into the greater Haunted Mansion story. 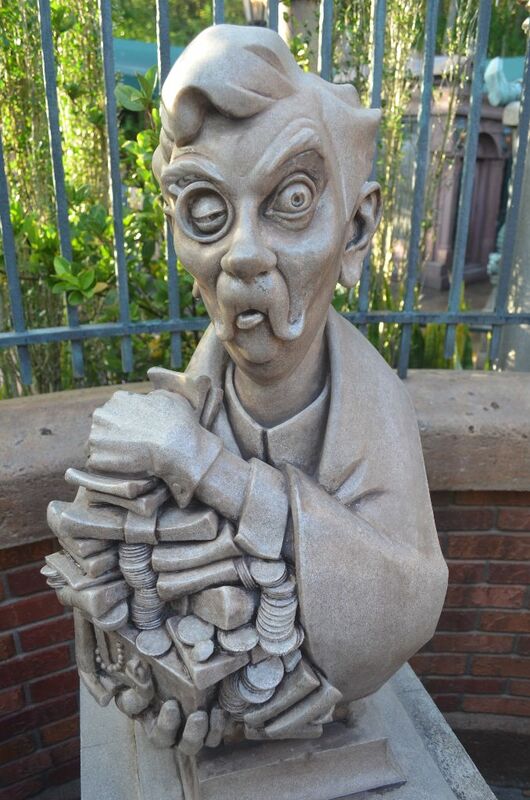 The Haunted Mansion was owned by George Hightower, the last of Constance’s husbands. Upon George’s death, depicted in the stretching room as having died by an axe to the head, the Mansion had no heirs to transfer ownership to. George’s dad, George Sr., was married to a woman named Daisy Dread. Daisy’s sister was named Florence, as in Florence Dread, our current holder of not only the wealth, but the deed as well! 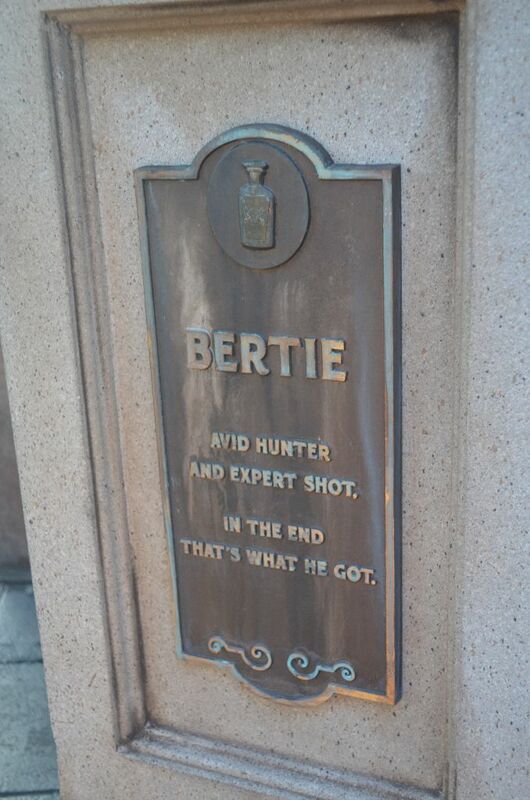 The plaque stated that she never did a dishonorable deed, as in action, and even though she killed Bertie, is was to honor the death of her husband, Jacob. Ok, now that we have that all sorted out we still have three murders to solve, starting with Aunt Florence. The second part of her epitaph says she was found face down in canary seed. 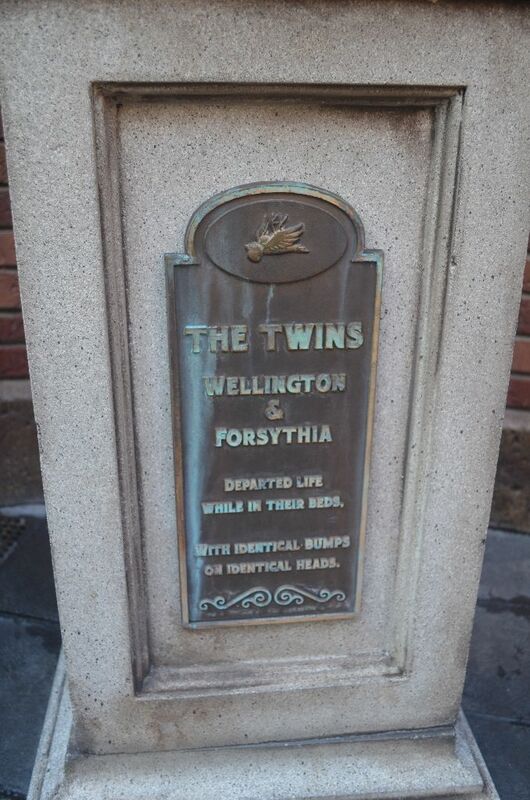 Our next suspects are the twins. That leaves us with three remaining members of the Dread family, the Twins and Cousin Maude. Unfortunately it is the Twins who meet their fate next. This murder is an easy one to solve once we see Cousin Maude’s plaque. 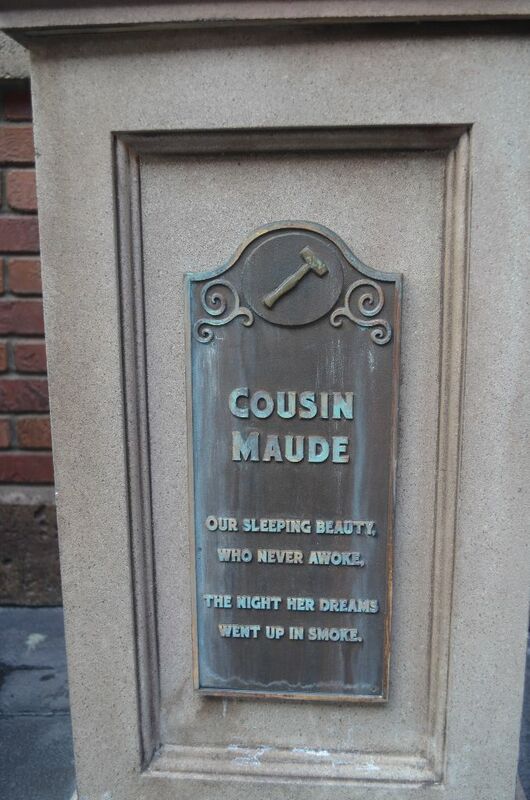 The hammer on Cousin Maude’s plaque is the murder weapon. She gave each of the Twins identical bumps on identical heads. At this point it might seem that the murder mystery is over, but Maude’s epitaph says that she never awoke and her dreams went up in smoke. 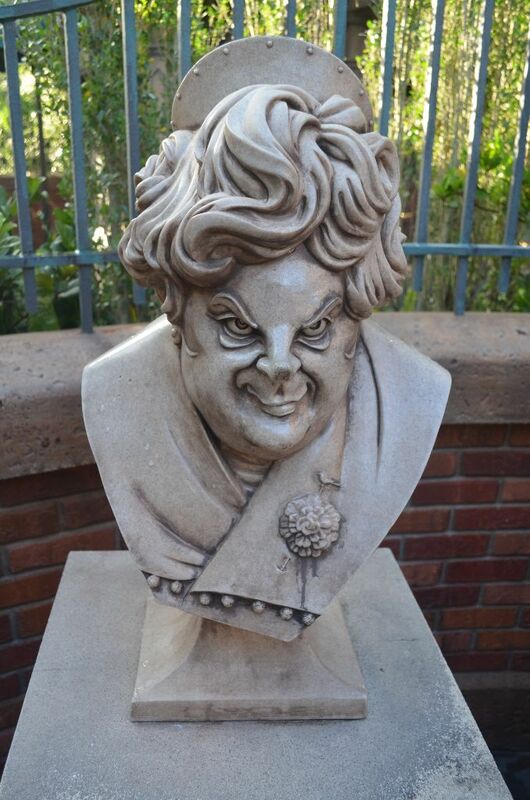 Maude, like many of the characters in the Haunted Mansion, has an interesting backstory as well. She is the Twins nanny, and while she may not be considered family by blood, she was a very important part of the Dread family, so much so that she is known as their cousin. Her backstory doesn’t end as a nanny though, her portrait can also be found with Phineas, the “traveling” Hitchhiking Ghost, suggesting a possible familial relationship. So we know that she dies by the words on her epitaph, but how does she die exactly? The solution to the final part of this mystery is my favorite and requires extreme attention to detail. We know she goes up in smoke and if you take a peak behind her head you will see how. Women in Maude’s time would use anything they could to pick up their hair and unfortunately for Cousin Maude, she chose to use matches to pick up her hair on the night of her death. So there you have it! A complete murder mystery right in the interactive queue line at the Haunted Mansion. 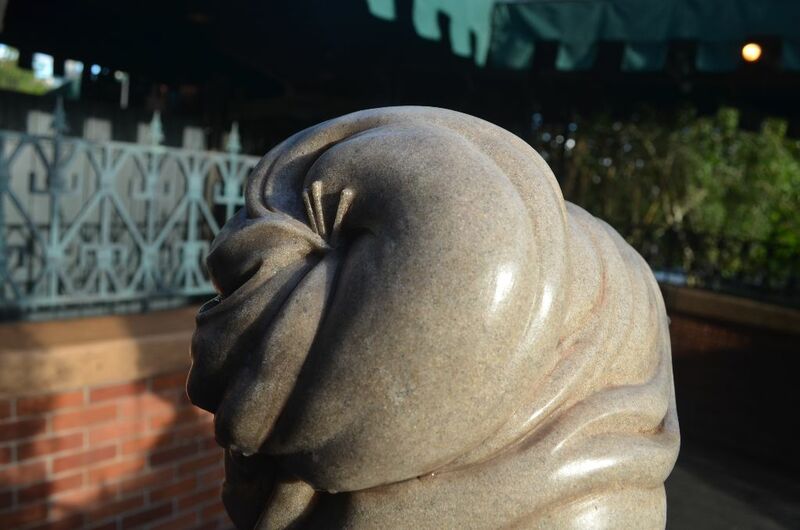 Next time you find yourself standing in line, or even passing by, take a moment to look at the great detail and backstory the Imagineers placed around you for you to find! If you enjoyed this post, all I ask is that you hit the share button below. Thank you for reading! Oh wow! The Haunted Mansion is my favorite thing ever and I didn’t realize this! Thank you so much for sharing! Very cool! I’ll check it out in person next time I visit. I have never noticed this before! Awesome!